Sam is a young, unique versatile singer/performer who specialises in Swing Music from the Rat Pack Era but is equally able to perform many genres of music including Pop, Soul, reggae, Motown and Rock n Roll. He would normally perform 3 x 45 minute sets or 2 x 1 hour sets but this can be adapted to suit your needs. Appropriate music is also played during breaks in the sets to keep the atmosphere going. As an additional service Sam is able to provide a 'DJ' service for when he is not singing for before and after his sets. 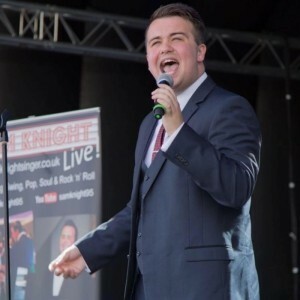 Specialising in Swing Music, Sam has been described as a "natural and confident entertainer" with a "powerful smooth voice". He has a unique style of singing the music of the swing legends (both old and new). 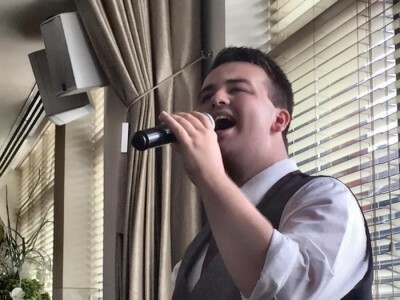 He is not a tribute act but an act in his own right and brings a breath of fresh air to the swing classic, always giving an energetic and charismatic performance, no matter what the occasion. Sam is also able to perform Swing, Pop, Soul, Rock n Roll, Reggae and Motown Hits from the 50's right the way through to the present day. 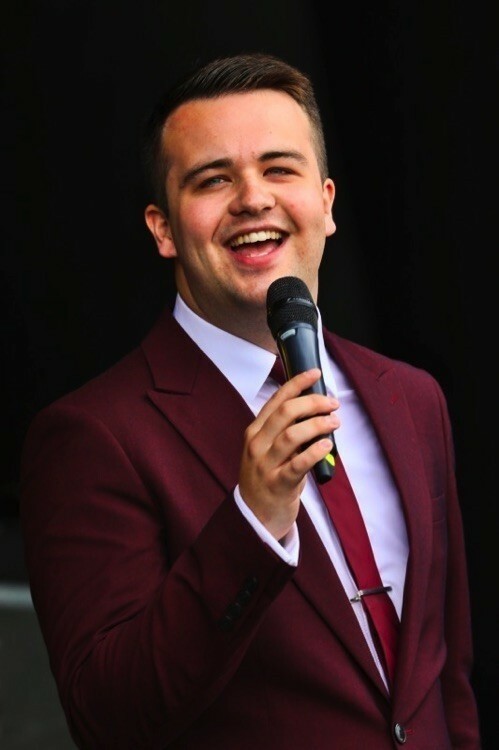 So, whether you need someone to perform the hits of the likes ... of Frank Sinatra, Olly Murs, Michael Buble, Elvis Presley, Robbie Williams or a wide range of other artists, then Sam is your man and is guaranteed to entertain, bringing class and sophistication to any event. His repertoire is increasingly growing, with new songs being added on a regular basis (please see further in the website for a full repertoire list). Sam has performed in front of a variety of audiences, include intimate club gigs for 20 people, through to casinos, shopping centres and even a firework display in front of 8,000 people. In December 2014 and 2015 he headlined his own Christmas Show. 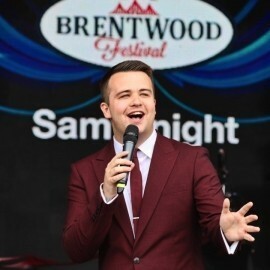 In 2016 Sam was also chosen as the opening act for the Saturday at The Brentwood Festival, featuring in a line-up that includes Level 42, ABC, Tony Hadley, Soul II Soul and the Boomtown Rats, where he was well received with some claiming this his performance was one of the performances of the whole festival and was asked to return in 2017 (supporting Status Quo amongst others). He is currently building up a wide variety of venues in his portfolio, including many restaurants, pubs, bars, Working Men's and Social Clubs and Royal British Legion Social events. ​He has been singing professionally now for the past few years and has never received anything less than a 5 star review from all his performances. He is available for a range of events including weddings, birthdays, christening, Ladies Nights, Dinner Dances and many more. He is also available to sing at clubs, bars, social clubs, working men's clubs and restaurants for added entertainment to the evening. Sam is available to appear across North, South and East London plus Essex and parts of Kent & Hertfordshire. Currently listening to Sam in the New Eltham social club and got to say loving him!! Thanks for making our night!! Great song choices and great voice! Thank you Sam for singing at our wedding. he's a lovely guy with a great voice. We saw Sam singing at La Sala in Chigwell in Nov and immediately knew we had to book him to sing at my Nan's 80th birthday bash (20th Aug) as a surprise for her. He kindly tailored the set to her favourites such as Frank Sinatra, Nat King Cole, Michael Buble etc, which was much appreciated! Sam has a great voice and a friendly, genuine personality. His performance made the party very special, my Nan was absolutely delighted. Highly recommended! Thanks so much again.